In the latest Chuck Chats! 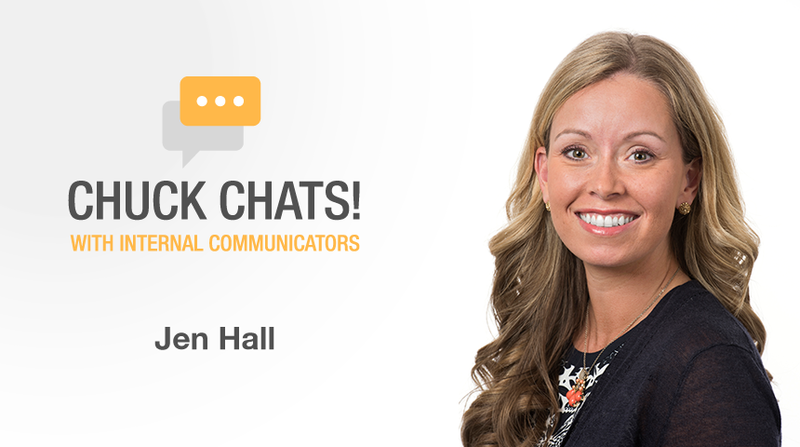 interview, I talked with Jen Hall, internal communications manager for Novant Health in Charlotte, NC. Jen has the challenge of heading up employee communications for a decentralized population numbering more than 26,000. She calls herself a "data nerd" but I prefer "data enthusiast." Emojis really make our publications stand out in Outlook among the hundreds of other emails. We also carry them through to our intranet. Customer service is impacted based on how our workforce is experiencing their work environment. And part of our job is to understand and improve that environment. The big idea was to be and act as one system. The way it impacted our team was that how we operated as a company changed that day. All of the separate mini brands had to STOP and start acting as one BIG BRAND.